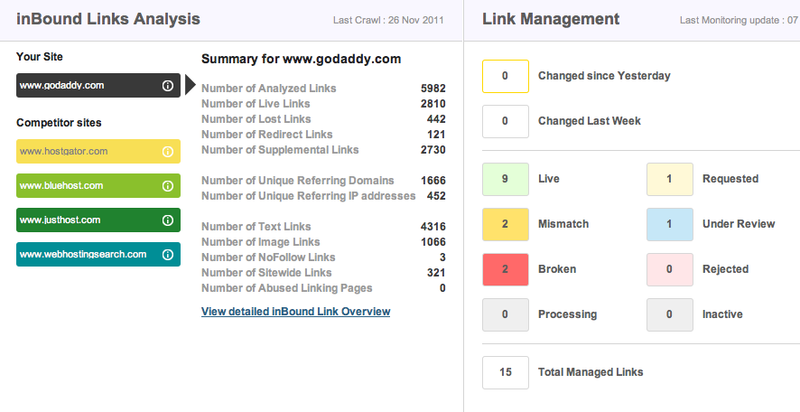 When it comes to link management….every SEO is going nuts. Some want to manage every single link and automatically fire emails as soon as their spider doesn’t find the link anymore, the other SEO has his own Excel file …and the next SEO just builds more links and doesn’t care at all about links being lost. CognitiveSEO.com, which launched today is all but that. The tool is a sophisticated link management solution combined with an advanced To-do manager. A sophisticated inline history that shows you when and how you gained links. We believe this is one of the most important tools that any SEO needs and currently only Majestic SEO covers that. CognitiveSEO makes a first great impression. There are many great features in the tool and it’ll be exciting to see what this will turn into. We also liked the fact that it is focused solely on links, which as of today are 80%+ of the ranking game. What we don’t know about CognitiveSEO is the depths of the link data. Some of the integration looks like it’s done wit Seomoz data, but we are not sure if this is the only provider of back link data. That all being said…we definitely give CognitiveSEO an A for trying a different approach and not copying the other tools out there. It’s exciting to see a company putting fresh eyes on an old problem.